We make project growth visible, yet what of the critical human component to all projects – skills? On 19 February 1879, construction began on Melbourne’s Royal Exhibition Building. On 28 July 1923, it was the Sydney’s Harbour Bridge’s turn. We make growth visible too. We count cranes in year-quarters, with September’s report showing a record-breaking 500-plus propping up the skies of Sydney, Melbourne and Brisbane alone. Yet what of the critical human component to all projects – skills? How do we mark the achievement of acquiring a workforce able to deliver some of the most complex infrastructure projects in the world? What visible measures do we have to show there is present-day skills capacity or that we will meet future demand? The Consult Australia 2016 Skills Survey is one such tool – but the fluctuations it shows suggest more visible indicators are needed at a much greater frequency. It shows more than two-thirds (69 per cent) of large consulting firms working in the built environment now express concern over a nationwide skills shortage, compared to eight per cent just two years ago. Over half of all large firms are struggling to recruit civil, traffic and structural engineers too, rising to 75 per cent and 81 per cent in NSW and Victoria, respectively. The reality is that, while we marvel, applaud and celebrate the visible in the built environment, we often neglect the invisible, and fail to plan for future skills demand. We call for more wine without investing in the vineyard. The survey also shows it is currently taking firms two years to fill mid-level roles compared to approximately two months in 2014. Only 46 per cent of large, medium and small firms are very optimistic they will find the skills to compete over the next three years. This gloom is in part caused by boom – this year economic growth in NSW and Victoria is estimated to be 6.1 per cent and 6.4 per cent, respectively. 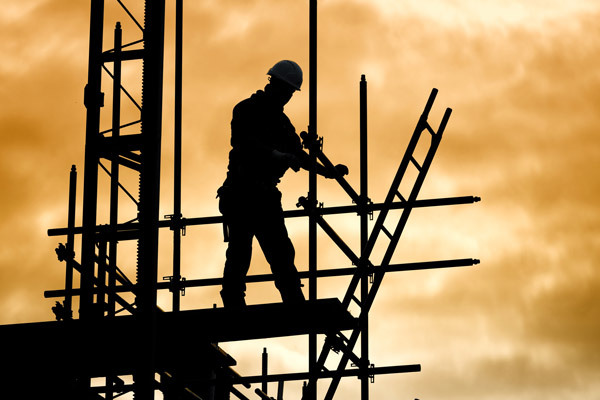 Heavy investment in public infrastructure and construction has led to demand outstripping supply, which in the short-term is resolved by recruiting migrants on Section 457 visas. Collectively, these skilled professionals maintain Australia’s economic growth. Individually, they contribute spend while adding social, cultural and educational value. Longer term the solution is different. Most state governments have joined Infrastructure Australia in producing long-term infrastructure plans, critical for the alleviation of rollercoaster fluctuations in supply and demand. It is only by mapping out predicted growth and anticipated projects, by undertaking gap analyses and working backwards from future date 10, 20, or 30 years from now, that there can be an appreciation of the scale of the challenges and opportunities ahead, and an appropriate strategy can be developed. To paraphrase ice-hockey player Wayne Gretzky, it is about skating to where the puck is going not to where it has been. Without a long-term strategy, debate around Section 457 visas will continue to be politicised, zooming in on short-term retrospective data, when it needs to zoom out, be contextualised and part of a long-term conversation about what skills Australia needs to sustain economic growth. Challenges around gender imbalance, with most firms in the Consult Australia survey employing less than a third (29 per cent) of women, would continue without targets in place to ensure cities are shaped by both genders for both genders. There would be no framework for state or territory plans to feed into as per the national “Infrastructure Skills Plan”, referenced in the Infrastructure Australia Plan released earlier this year. Yet as with all long-term plans, it is essential to provide short-term visible outcomes to maintain strategic direction, and aid those, notably politicians and shareholders, who work in shorter cycles. This is why it is critical there is a concerted effort to make visible the people-part of built-environment projects. Promote the foundation stone but promote too graduates of the foundation course who laid it; gather local and national media for sod-turning but gather more for corner-turning as a company hits the 50 per cent female recruitment mark; unveil a plaque that on this day this project began, but also unveil your team, the people who will make it happen and the challenges faced to bring them together. Make skills visible, make scarcity or abundance known – and help push for a strategic approach to future skills development in Australia. 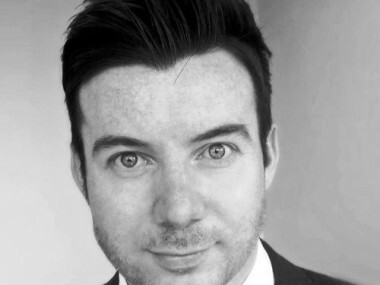 Kevin Keith is ACT state manager for built environment body Consult Australia. See the 2016 Consult Australia Skills Survey. I think it’s failing because of the strict adherence to “local experience” and the mentality that Australia is isolated and is different from everybody else. Granted process and procedures are different, but that’s everywhere you go regardless which country you’re in; however, the science, engineering, and technical know-how’s are the same, tested, and true. Gravity is everywhere and it’s not different in Australia. That’s what technical manuals and standards are for and can be easily reviewed. learned and applied. As a permanent resident but have international education and experience, I am in a limbo and I’m sure I’m not the only one. I’m definitely one of the vines in your proverbial vineyard, but treated as a weed to be ignored and not given a chance to become wine. I think you are failing to also acknowledge the existing industry quite deliberately “off-shoring” skills with the aim of maximising profits. This has occurred over a number of years, now leading to reduced workforce availability due to lack of employment opportunities in quieter times. Rather than investing in developing skills, it has been cheaper to retrench and offshore, meaning many skilled workers have moved into different fields with more stable work. Realistically the consulting industry of built forms must shoulder most of the blame.